In 2014, Apple made the biggest upgrade to its iPhone lineup: it finally introduced a larger iPhone. And there was not just one new device, but two models: the 4.7" iPhone 6 and the 5.5" iPhone 6 Plus. This year, in 2015, rumors agree that Apple will stick to these two devices and preserve the design, but make some big changes to the internal hardware and the software. With rumors flying from all kinds of sources, it's time to round up the picture around the 2015 Apple iPhones: the iPhone 6s and iPhone 6s Plus, as most analysts expect them to be called. 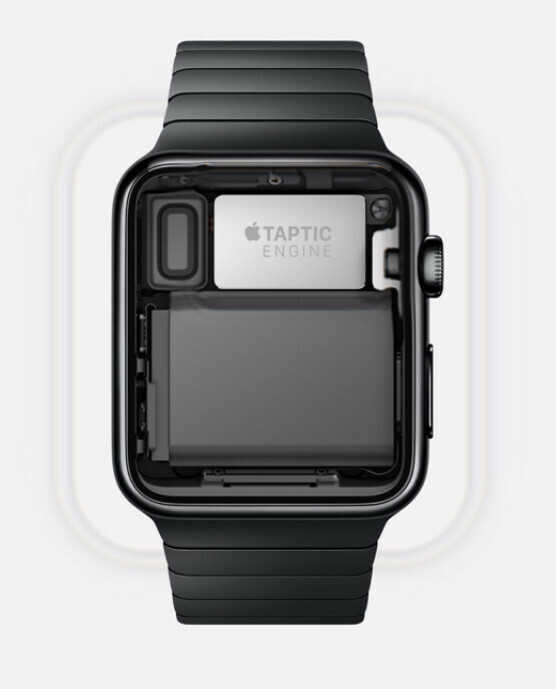 A feature that allows the device to know the difference between a slight tap and a longer, more forceful touch on the display, Force Touch was first introduced on the Apple Watch and quickly spread to the new Macbook. These days, pretty much all rumors agree that Force Touch is coming to the new iPhone 6s family of phones. Inside sources have already revealed the possible uses of Force Touch on the iPhone 6s and 6s Plus: for instance, one could do a Force Touch on a destination in the maps app to start turn-by-turn directions immediately, saving two steps that is necessary at present to start navigation. Keep in mind that this convenience might be offered in the Apple Maps default app only, giving it a competitive edge over rivals like Google Maps. Another implementation is said to be in the Music application, where a strong touch on a song listing gives users the option to add the song to a playlist, or hold on it to save it for offline listening. A third possible feature would have you Force Touch on a contact to go directly to voice mail. These are just some things that Apple is allegedly testing right now, and we'll see the full stack of Force Touch uses on the iPhone 6s in the near future, if this indeed becomes a feature of the new iPhone. Keep in mind that Apple is working hard on making the physical response to Force Touch a consistent one, no matter when and where it is employed on the iPhone. It's also very likely to see the Force Touch option be made available to developers via an API in the near future for use in third-party apps. Apple first featured an 8-megapixel camera on the iPhone 4s back in 2011 and since then, all iPhones have used 8-megapixel sensors with slight variances in the size of the sensor itself. At the same time rivals like Samsung, HTC and Sony have started using 16- and 20-megapixel main cameras, which theoretically are capable of capturing more detail in daylight, but come with reduced pixels that make it harder to capture great low-light images. In 2015, it looks like Apple has also finally decided to make the jump to a higher-res camera, and rumors agree that the iPhone 6s and iPhone 6s Plus will come with a brand new, 12-megapixel camera. Naturally, this should allow the iPhone camera to capture more detail and give you more freedom when you decide to crop an image. A 12-megapixel sensor would also allow Apple to enable 4K video recording, a feature that Samsung Galaxy phones and other Android flagships have had for a while. Another neat new option with this camera is rumored to be an even more impressive slow motion running at 240fps, but this rumor is a bit more sketchy. We have also heard the various other rumors about a fantastically improved new camera in the 2015 iPhones. Some suggest there would be clip-on lenses by Apple, while others say the company is working on a futuristic dual-lens system using mirrors that would allow using the rear camera also for selfies. At this moment, these seem like a far stretch and even if true, we don't expect them to come to fruition this year. Despite the Apple A8 chip being nearly one year old, Apple manages to stay in the lead when it comes to single-core CPU performance with its larger than usual cores and custom CPU design. This year, though, it will make another big jump as everyone is expecting the Apple A9 chip in the iPhone 6s family to transition to a new manufacturing process: a 14nm/16nm one. This alone would bring significant improvements in power efficiency and performance alone, while further improvements to the CPU logic could add on top of that. Last year, Apple stated that the A8 brings 25% more CPU performance and 50% more graphics performance while drawing only 50% of the power compared to the Apple A7, and we're curious to see what the numbers will be this year. 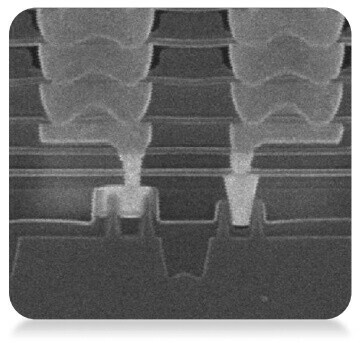 The change of process comes with a move from a planar chip design to 3D FinFETs. This move is important at the current scale of manufacturing, where planar architectures are often affected by power leakage, while FinFETs have their gate wrapping around the channel (rather than just laying on top of the channel) and are thus capable of keeping tighter electrostatic control. And yes: 2GB of RAM! The 2015 iPhone 6s family is likely to finally make the jump to 2GB of high-speed LPDDR4 RAM. Having more RAM allows for more apps (or browser tabs) to stay open at the same time, so you will see less reloading and multitasking will be quicker. In terms of connectivity, the modem is expected to be another substantial improvement over the current iPhone 6 family: Apple is rumored to upgrade the current Category 4 4G LTE modem that is capable of speeds of up to 150Mbps to the new Category 6 4G LTE Qualcomm '9X35' Gobi modem that will support double the speeds - up to 300Mbps. Ah, #bendgate! It seems that every once in a while an iPhone is involved in a major scandal, and last year, the iPhone 6 Plus was the victim as many found it bending even under relatively light pressure. Luckily, Apple would replace such units no questions asked, but the company seems to have taken notice: rather than using 6000 series aluminum (as in the 6 Plus), the 2015 generation of the iPhone is rumored to come with a sturdier 7000-series aluminum alloy. If true, this will likely not be a change that Apple advertizes widely: instead, it could quietly switch to the sturdier body to avoid the negative PR. Interestingly, rumors also say that Apple is working on adding a fourth, ‘rose gold’ color option for iPhones along with the current gold, space grey, and silver models. We have seen pink phones from various phone makers including the trendy Chinese Xiaomi, so there does seem to be some demand for the color, yet this still seems like a sketchy rumor that may not actually come true. With the majority of Android top-tier devices making the move to 32GB of internal storage for the base model, all eyes are on the amount of storage the new iPhone 6s family will ship with. So far, Apple has conservatively gone with three tiers of devices: a 16GB model, then a 64GB one that costs $100 more, and finally a 128 gig iPhone offered for another $100 more. While there is no official information about the storage capacity of the iPhone 6s family, we've heard Apple's marketing guru Phil Schiller say in interview that cloud services along with the new Apple Music streaming app take a lot of the load off the internal storage, and that Apple feels comfortable offering 16GB as the base iPhone model. This is a very clear indication that the new iPhone 6s family is likely to ship with no improvement in internal storage for the base model, as it retains the 16GB/64GB/128GB tiers. The Apple iPhone 6 ships with an 1810mAh battery, and that alone has been an area that many critics use to bash the phone: after all, the battery capacity of Android phones in the same category is often much more than that. So are we to expect a larger battery in the new iPhone 6s family? We do expect a slight change, with the focus being on 'slight'. With the transition to 14nm silicon, we have seen the first leaked design pictures of the iPhone 6s show a different layout for the silicon, with the option to have more space for battery. Naturally, more space would translate into a larger cell and improved battery life on the new phone. At the same time, we should not forget that leaked designs and Apple's engineering choices so far have made it abundantly clear that the iPhone 6s will retain the attractive slim profile of the 6. The company has said that having a thinner phone with a smaller-capacity battery is an engineering choice that it has made, and that's one more indication that change - if it's there - will be slight. Finally, the iPhone 6s and iPhone 6s Plus are not likely to surprise us when it comes to their price and release date. Apple keeps a steady yearly cadence with its iPhone announcement, and if this year is part of that repetitive pattern, the iPhone 6s and 6s Plus announcement should happen on Tuesday, September 8th with a release date on Friday, September 18th. The prices will also likely be unchanged at $200 for the 16GB iPhone 6s and $300 for the 16GB iPhone 6s Plus on a two-year contract. What do you want to see in the next iPhones and are you happy with the rumored changes? I just hope they make a current spec phone. They need 4GB of RAM, & a 20MP camera, that way they can help push technology forward. Those specs they are saying are late 2012 - 2013 specs. Haven't you heard the term "if it's not broke don't fix it"? Iphones are very capable and well structured devices with the current specs. It's not about having 4gb of ram or a 20mp camera when 1gb and the current 8 make the device run a lot more fluid than most of the other phones out there. I agree 4gb of ram and a 20mp would be cool, but it's just not needed. Maybe 2gb of ram and a 12mp camera. That's fine if the prices decreased. If they use 2012 specs why are you okay with paying 2017 prices for IOS that they designed 10 years ago? No wonder they a 100 billion and climbing. It's because of people like you that settle for less just because it works. That's what I mean. They should charge the cheaper price because the specs are older. I would be fine paying a premium price on a product with premium specs. That's all I am saying. It's like Apple only cares about what the phone is made of in the outside, not what is in the inside. But the point is they match the performance of quad core phone and does all the job without any hiccups ,spo why the fu*k u need that 4gb ram? If 1gb ram iPhone 6 can run any game in much fps and without any hiccups, what u gonna do with that 4gb ram? Show me any android phone with 1gb ram that can match I phones performance and then say why they charge more. And if you can't name any android device then please don't defend android os . You need it because people should not like getting ripped off or they should get things like true multitasking. Think of it this way. How much longer would the iPhone 6 last on IOS if it had the 4000 mah battery you paid for instead of the 1850 mah battery they overcharged you for in order to pocket and make their 194 billion, it would last a week or more and you paid for it and are not getting it. It's going straight to Apple's pockets. By your standards, none of you should be b*tching about rich people making as much as they can. After all, you're trying to get as much as you can for as little as possible.. why can't they? Why do you NEED (key word) 4gb of ram, if 1-2gb runs absolutely fluidly? That's something that Android clowns can't answer.. and it pisses them the f off. The fact that iOS runs fluidly and powerfully with less specs. It's Google that has you guys hooked line and sinker. You're so far up the spec's list a** that you can't even realize specs hardly matter at this point. Whatever runs the device smoothly, is all that matters, not the bs printed on the back of your box. I already told you. Lol you need that stuff so Apple doesn't get away with charging you a random for s**t specs. I don't know about you but I have something called integrity and won't overpay for 10 year old software just because it doesn't need 2015 hardware fo perform. Paying them for 2015 hardware and getting 2012 hardware is just plain wrong. The problem is not Apple but Android phone manufacturers. It is not Apple's fault that Apple is competitive with less specs compared to the competition. If there were better Android based phones and a better optimized Android OS available, Apple could not go with the current business model. The others have to step up their game, then Apple is forced to step up its game as well. So you are willing to pay money out the wazoo for iOS that they designed 10 years ago? 4gb of ram would do a lot actually, even if it's just there looking pretty. At the very least, it would make jail broken phones perform a lot better with extra features turned in. Features that Apple stripped and Google didn't. My phone has 3GB of RAm because it has full multi-tasking. Because I can run 2 or more apps on the screen at the same time. That is why I have more RAN. Some phones just have more RAm just because its a spec sheet tick. But Samsung is the only brand who increases the RAM for a purpose beyond a tick sheet. Example...Compare the Note 4 to the iPhone 6 Plus and get back to me when the iPhone actually uses the larger display for something useful. The 6+ is fully capable of running multi window dummy, jail break it and find out. Not being able to do it stock, has to do with infringement, not hardware capabilities. You know nothing but specs dude. You need to jail break it as you said. So Android can do it STOCK, but Apple can't. Plus the videos online of jail broken iPhones doing multi-window are laggy at best. Not exactly usable. You are right. You pay the premium price for ios software not for the iphone hardware, which is outdated (old). On Android side you have an open platform with all the strenght and weaknesses coming from here (c vs vm, metal vs some etc.). don't you mean less . There is a difference between having older RAM or Having older Cpu architecture vs having less RAM and Less Cores . Don't you agree? They prices stay the same while adding more awesome tech. Both hardware and software evolves rapidly, so how can you say that it's an 2012 phone ? iPhone 5 was an 2012 phone, iPhone 6 is an 2014 phone. And they got 194 billions in bank. Why ? Because they make products that people love. It's 2012 tech because they charge you more for 750p, 1gb of slow ram, 1850mah batteries, cat 4 LTE than competing companies charge for QHD screens, 3gb of super fast ram, 3000mah batteries, and cat 6 LTE. They have been getting away with this for years.They gave you 3G only when others had HSPA plus and they finally added NFC. OIS is only in the 6 plus. In cases they charge a lot more than the competition. They have 194 billion in the bank because they are crooks, nothing less. For what they charge you they should be giving you a 4k screen, 6gb of the fastest ram, a 4500 mah battery, and Cat 9 LTE. Because if you calculate the price difference between the iPhone and its competitors, that's what the competition would give you at the Apple prices. There weren't retina HD quality displays in 2012 iPhone 6 actually blows away iPhone 5 in terms of display quality. The RAM is the fastest and most power efficient available at that time and the battery lasts a lot, especially on the iPhone 6 Plus and yes maybe it's "just" cat 4 LTE but Apple is aiming for coverage instead of performance and they have no competition in that area. And had you noticed that Apple is doing well, even without those empty numbers ? If you want the fastest RAM or a 4K display, go buy few RAM sticks and a 4K monitor instead of a phone. Retina HD. Lol it's the same 326ppi of the iPhone 4 in 2009. And in no way does it blow the iPhone 5 display away. Maybe in itard land. In reality the iPhone 5 display isn't much worse that the iphobe 6 display and the 1080p displays on Android flagship phones blow the iPhone 6 display away and that's not even getting into the QHD displays. I don't want a 4k display on my phone. I am just wondering why they are charging you what Samsung would charge for a 4k display for effectively a 750 display LG can design in their sleep and why you itards are okay with that. Look iPhone 6 got higher resolution, higher brightness, better white balance, higher contrast, better viewing angles, more accurate color calibration, drastically improved polariser and the entire display is much thinner. You only value resolution, because it's a things that Apple doesn't have ? And that you don't want a 4K display ? Haha I can see you already bashing Apple for going to QHD and boasting about how a 4K display is so much better, it's not even possible. Than what? Not better than either the Note 4 or S6. Let's take a class on how profits work. Create a device that's cheap to make, charge a high price for it. Result: $194 billion on only 18% market share. We are not smart consumers. It's not settling for less when it comes down to usability for something that works for us. It's people like you who are too ignorant to see that. "No wonder they a 100 billion and climbing" - it's because of a solid eco system and easy to use devices. I have a note 5 and love it but to deny what makes my users want apple over android say 80% of the time would really be short sighted of me. ...and they are easier to support so no complaints from me either. If everything was android only, we would have less cool stuff and at a slower pace, enjoy em all! You ever heard the term, getting what you pay for? If I take 2 phone that cost $750, I expect that the soecs will be similar. I am not saying they have to be exactly the same, but they should be reasonably close. iPhone vs Galaxy S4. iPhone 750p vs 1080p, dual-core vs dual quadcore, 1GB RAM vs 2GB RAM, 4.7" vs 5.0", 8MP vs 13MP, 1.2MP vs 2MP, ion glass vs Gorilla Glass, 326ppi vs 441 and I could go on. Even the S5 has better specs and capabilities vs the latest iPhone 6. The Galaxy S4 is 2 years old and counting, while the iPhone 6 is suppose to be new. Question. How is it you can sit their and say with a straight face, "if it ain't broke don't fix it" when there are things that are broken. Problem 1 - A phone released in 2014 should have hardware that was released in 2011/12. I can buy a brand new S4 for $300-$350 and I can get an S5 for maybe about $100 more than that. My point is simple. If you are going to use older hardware, than the price should be adjuested accordingly. Its not abut how well the device works. It should be about, how is it that another OEM can release a phone with 4 times the hardware and yet cost the same. The Galaxy S starts at $599 while the entry level iPhone is $649. Right now for 599 I get again dul quad-core CPU, quadcore GPU, 3GB RAM, 5MP/16MP camera, 1440p display with over 500PPI, better battery-life, more capabilities and a better looking design too. What's broken is your logic. What is broken is buying a phone that is 3 years outdated the day its released and yet it cost as much or more than anyone elses phone that has better That's why I will never be a fan or a single product or brand. I love tech period. I want what I pay for or I simply wont buy it. Apple does this same BS with the Mac. I recall when I bought the Mac Air, it had Core 2 Duo, while everyone else was selling hardware with Sandy bridge chipsets. C@D at this point was well over 5 years old. Why would I pay $1200 for an Air with 5 year old hardware when I could get a thinner, lighter option with newer tech for around the same cost?. The pictures look great on a screen. Try to print out even a 5x7 and you will see why they need a better camera. 2GB of RAM is essential moving forward. Face it, Apple is far behind in technology. Very far behind. Yes, I have an iPhone too. But I will be switching come Friday.